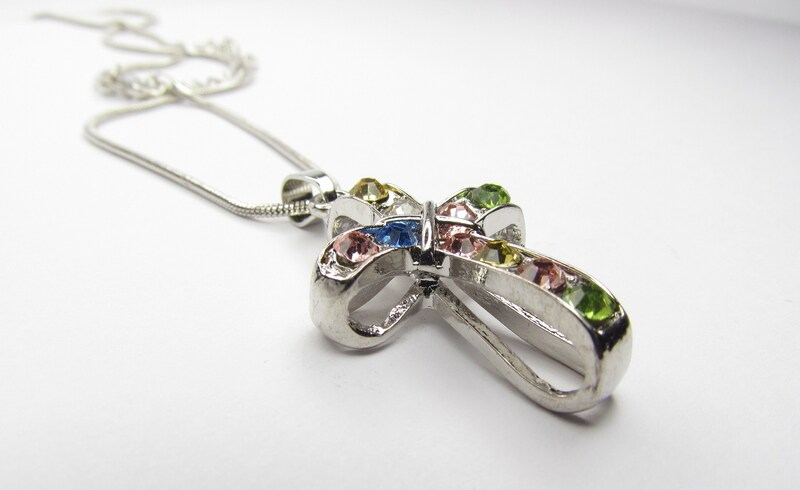 Fabulous Silver plated Cross Necklace. 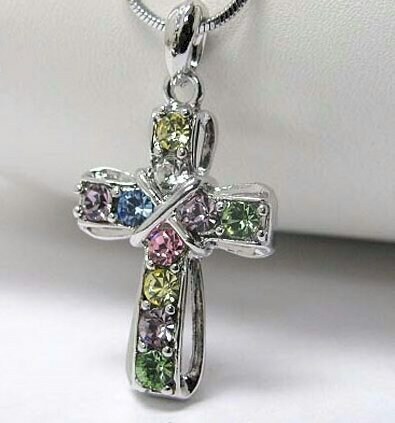 New Fashion Classic Cross Mix Color Crystal Rhinestone Pendant. 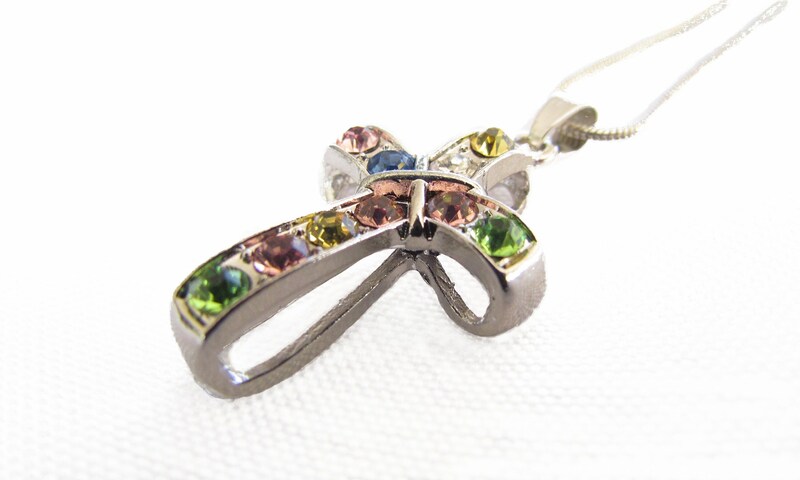 Attractive dimensional design. Comes with a flexible 18" Mesh Silver plated adjustable snake chain with positive locking lobster clasp. Pendant measures 7/8" wide x 1 1/4" long.